The PARAGON 3965A Malibu Electric Facial Chair is designed specifically for spas, medi-spas, and resorts. 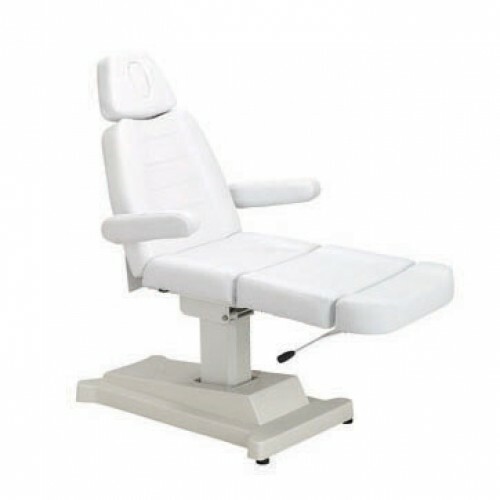 The Malibu Treatment Table with it's motorized lift offers functionality and style. While the electric pedestal lift provides a smooth and quiet height adjustment at a touch of a button. The legrest may be adjusted manually. 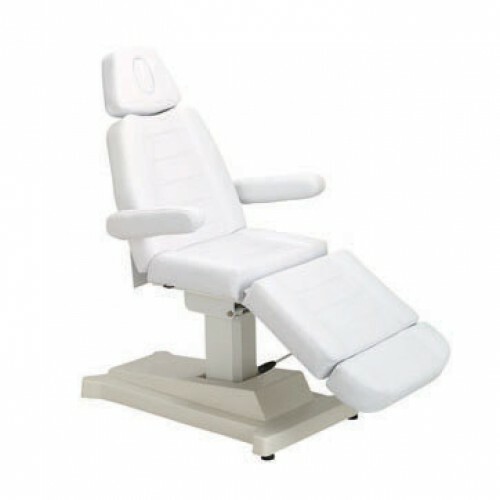 Fully electric controls allow technicians endless positioning for seated clients. The bed is built with 3 1/2" deluxe cushioning. 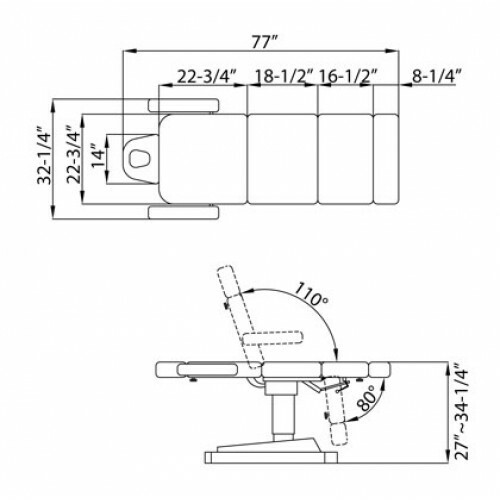 Dimensions: 32 1/4"W x 77"L (Fully extended).